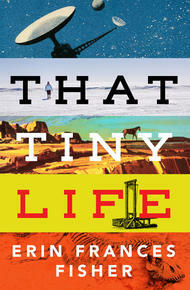 That Tiny Life is the debut from Erin Frances Fisher, winner of the 2014 Bronwen Wallace Award for Emerging Writers, and was published earlier this year to rave reviews. In this reading list, she recommends books by authors who love good historical details just as much as she does. Writing the stories in That Tiny Life took a lot of research—more research than I was used to—and this process surprised me by being incredibly fun. Some of that research was easier to access: my sister is a falconer and let me tag along when she went rabbit hunting with her hawk, and as a young kid I lived in Inuvik, NWT. Astronauts on the International Space Station livestream videos from space, and I found everything I needed about Civil War amputation via era-enthusiasts’ blogs and articles. The story that took the most time was “Da Capo al Fine,” set in Revolutionary Paris. I spent a lot of time virtually wandering Versailles and Paris using online maps’ street-view functions. Palaces that are now museums have displays on newspapers, parties and gambling, clothing, and the river baths. I also went to the library at the local university and took out a pile of books on harpsichord and pianoforte builders knowing that I was going to write about the switch of prominence between those two instruments. I also read a footnote somewhere that said a German harpsichord builder Tobias Schmidt was friends with the headsman of France, and that he constructed the guillotine for the French Revolution—you’ll have to read the story if you want to know more. Here are eight books by Canadian writers whose works suggest they enjoyed their research as much as I did. By now everyone has heard about this novel: Washington Black is a young field slave chosen by his master’s brother as a manservant, and nothing is as it seems. 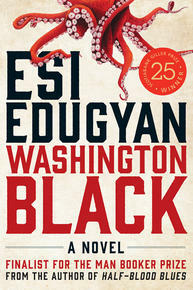 What I loved most is the way Edugyan constantly surprised me as a reader. The book takes historical fiction and doesn’t go where you expect—there’s a moment with an early prototype of the diving suit, and then a trip to the arctic. Unlike a lot of historical fiction, what unifies Wash’s story is not the time or place, but Wash and Titch’s relationship and the complications of love, family and power. 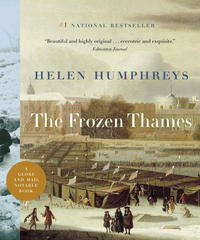 A collection of vignettes that span from 1142 to 1927, capturing forty times in semi-recent memory that the river Thames has frozen solid. The book itself is beautiful, with historical sketches and paintings worked into the narrative. Imagery and memories of all the different narrators over the years create a timeline for the true protagonist—the river. 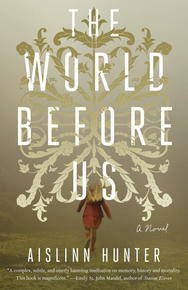 Collectively narrated by ghosts, this is a slow-burning, intricately structured novel with timelines that wrap around each other: a Victorian asylum, contemporary London, and decaying country house that connects both. In the past, Jane lost track of a young girl she was watching and the child was never seen again. Jane, in the present, is now an archivist at a closing museum, and sets out on a search for information about a woman who disappeared from an asylum 125 years before. Reading this book you’ll find yourself pondering the world that’s spread out before you, and the world that existed before you came to be. 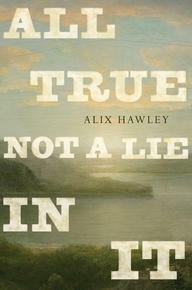 In her acknowledgements Hawley writes “My family has lost me to the frontier for some time…” and I believe her. Eli and Charlie Sisters are headed to kill Hermann Kermit Warm on Warm’s gold-mining claim outside of San Francisco. 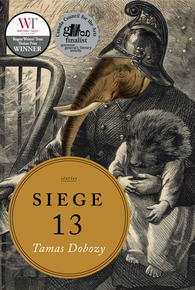 The book is funny and grotesque—there’s a scene that involves a spoon and a horse’s eye—and run through with melancholy. 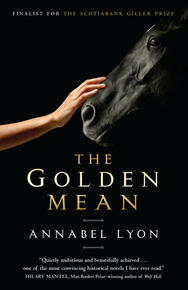 Added to that all the details of the gold rush and professional killers in the west. 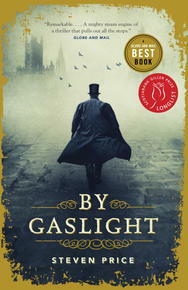 A dark, foggy novel By Gaslight traverses many different settings and takes its time doing it—the paperback is 731 pages. The books starts in 1885 London, with dips into backstory during the American Civil War and in South Africa’s diamond industry. 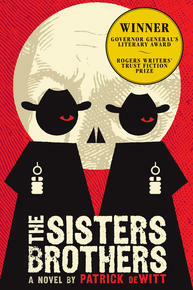 There’s theft, historical noir, a séance, murder, a hot air balloon. What I loved about this book is a technical thing: the chapters are so well crafted that I didn’t notice the length. And check out this passage on Victorian London’s docks: “He could smell the open crates of fish in their glister and the reek of bundled tobacco mingling with the cinnamon and rum. He passed a box of open horns and ivory with the flesh tufted and rotting at the bases and the stink of it made his eyes water. 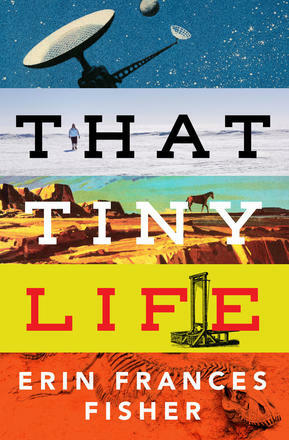 His soles stuck to and peeled from the slatted boards of the wharf and he realized it was old sugar spilled from the sheds nearby…"
In settings that range from the old American West to pre-revolutionary France, from a present-day dig site in the high tablelands of South America to deep space, That Tiny Life is a wide-ranging and utterly original collection of short fiction and a novella that examines the idea of progress—humanity’s never-ending cycle of creation and destruction.